INDIANAPOLIS (July 13, 2016) – Lt. Governor Eric Holcomb joined Hiroshi Urakami, the chairman of Japan-based Ryobi Limited, today at the Indiana Statehouse to discuss the company’s plans to expand its operations in Shelbyville, creating up to 150 new jobs by 2018. The company will invest $97.5 million into its U.S. subsidiary Ryobi Die Casting USA, purchasing and equipping a 350,000-square-foot facility adjacent to its campus at 800 W. Mausoleum Rd. in Shelbyville. The facility, which will expand the company’s operations in Shelbyville to cover four buildings across 1 million square feet, will allow Ryobi to grow its structural and engine block die casting to increase production to process 500,000 castings annually by 2018. With construction expected to begin this fall, the company plans to begin operating in its new facility by late 2017. Ryobi launched production in Shelbyville in 1985, which is the company’s only manufacturing location in the United States. Operating 12 manufacturing facilities across six countries, Ryobi specializes in aluminum die casting for more than 300 different types of automobiles. Aluminum die casting helps make automobiles lighter and is a more environmentally-friendly alternative than traditional steel auto bodies. In Indiana, Ryobi produces transmission cases, housings, engine parts and structural parts for Ford, General Motors, Hyundai, Honda and Toyota. A publicly-traded company, Ryobi’s 2015 sales reached $2 billion, with the majority of its revenue coming from its die cast division. 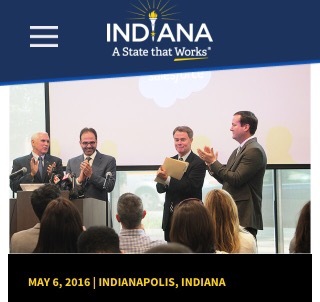 Today’s announcement marks the third large economic development announcement in Shelbyville just this year. In March, Germany-based Krone North America announced plans to relocate its U.S. headquarters from Tennessee to Shelbyville, which will create 101 new Hoosier jobs. 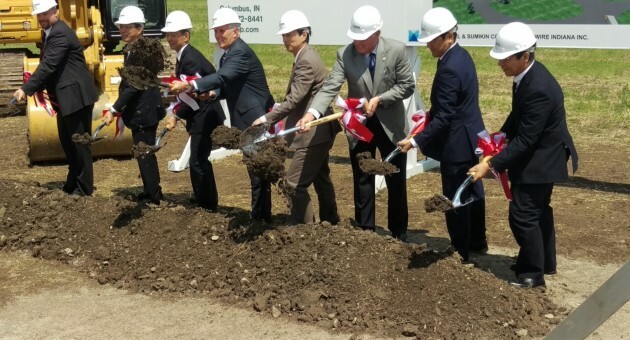 Japan’s largest steel producer, Nippon Steel & Sumitomo Metal Corporation (NSSMC), also announced that it is building a new facility in Shelbyville, with plans to add 70 new Hoosier jobs. The Indiana Economic Development Corporation offered Ryobi Die Castings (USA) Inc. up to $775,000 in conditional tax credits and up to $75,000 in training grants based on the company’s job creation plans. These incentives are performance-based, meaning until Hoosiers are hired, the company is not eligible to claim incentives. The city of Shelbyville will consider additional incentives at the request of the Shelby County Development Corporation. Ryobi is the second Japan-based company just this week to announce that is growing and adding new jobs in Indiana. On Tuesday, Toyota Boshoku made news that it is expanding production in Gibson County to produce vehicle seats and doors for the Toyota Highlander and plans to create up to 160 new jobs by the end of the year. So far this year Japan-based Honda, NSSMC and NB Coatings have all announced that they are expanding in Indiana, growing the already more than 53,000 Hoosier jobs that exist at Japan-based companies throughout the state. PHOTO: Lt. Governor Eric Holcomb and Mr. Hiroshi Urakami, chairman of Ryobi Limited, meet at the Indiana Statehouse to discuss the company’s Indiana operations. While meeting, Mr. Urakami formally committed to growing his company’s operations in Shelby County. Ryobi Die Casting USA Inc. is located in Shelbyville, Indiana (20 miles southeast of Indianapolis). Our facilities include two die casting plants and a machining facility encompassing 560,000 square feet of manufacturing space. Established in 1985 as a subsidiary of Ryobi Limited (Japan), Ryobi has die casting facilities in Japan, China, Northern Ireland, Mexico, Thailand and the United States. The Ryobi Group of companies makes products that are used in a number of industries. Governor Mike Pence and Shelbyville Mayor Tom DeBaun joined executives from Nippon Steel & Sumitomo Metal Corporation (NSSMC), Japan’s largest steel producer, today as the company announced plans to establish operations in Shelbyville, creating up to 70 new jobs by 2021.